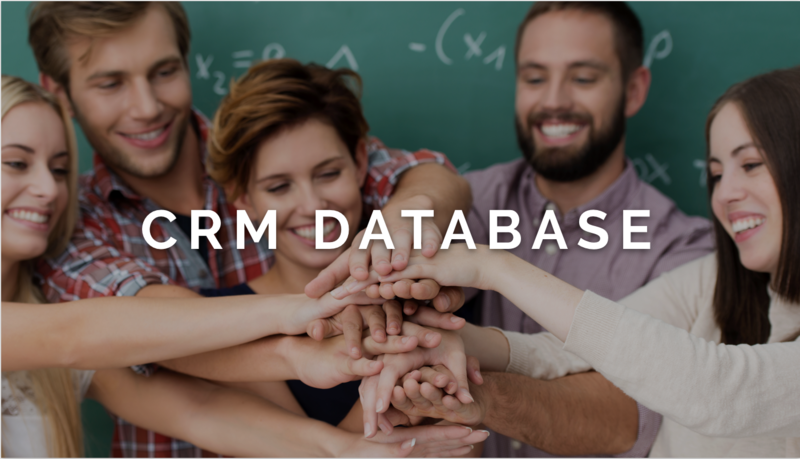 In addition to a transactional database, with Flipcause CRM (Beta) you now also have your contact database - all within Flipcause. No more searching your transaction history by name to see it all in one place! Each of your contacts and supporters now has their own dedicated profile page, from which you can assign relationships, manage activities, assign soft-credits, apply tags, and much more. And of course, you can now run reports on your contacts and groups! 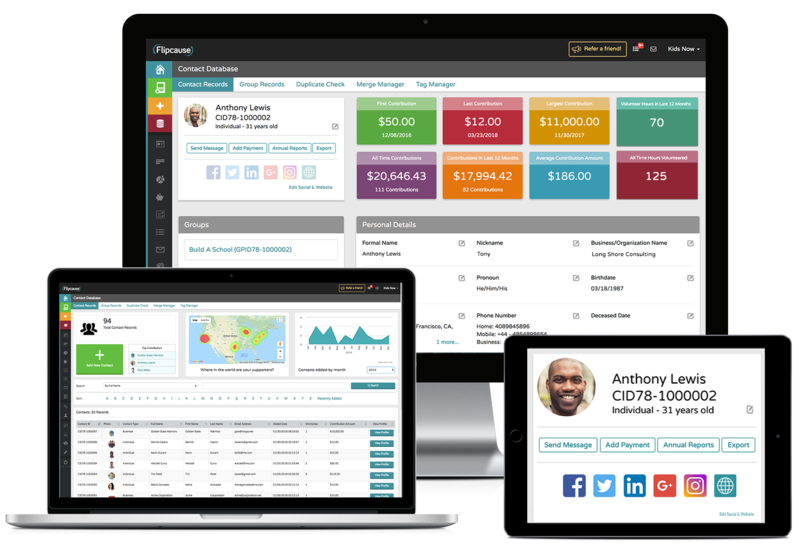 With comprehensive and easily accessible data at your fingertips, you can focus on increasing engagement with those who matter most to your organization. Add new information such as birthdays, relationships, tags, social media profiles, etc. Contact Reporting lets you create exportable segments for your communications with supporters, such as email newsletters, direct mailers, and mail merges. Interested in getting access to the beta version? Just ask your Success Manager! Flipcause LIVE is a perfect mobile payment solution for your live events. 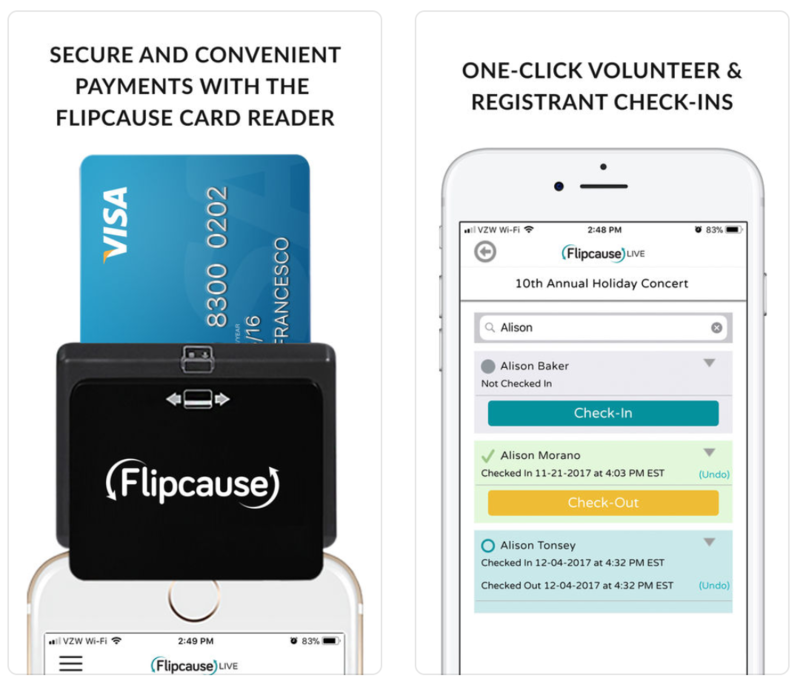 Easily accept and process payments through your Flipcause account and check in volunteers & event registrants through a friendly, easy to use interface. The app is free and links directly to your existing Flipcause account. The Flipcause LIVE app is available for download for iPhone and iPad from the App Store and coming soon for Android on Google Play. With the Flipcause Card Reader, you can securely process credit and debit card payments via EMV chip or magnetic stripe cards on the go. A companion to the Flipcause LIVE app, it’s perfect to grab for a big event and return to us at no cost*. There’s no limit per organization, so you can get as many as you need. 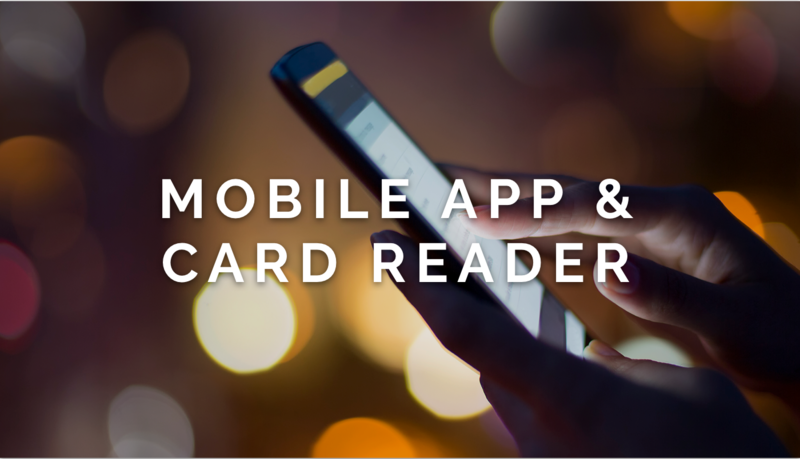 Request your card reader from your Flipcause Success Team to get started. *$99 deposit per reader, refundable upon return of device. We’re thrilled to share these newest product releases for 2018! 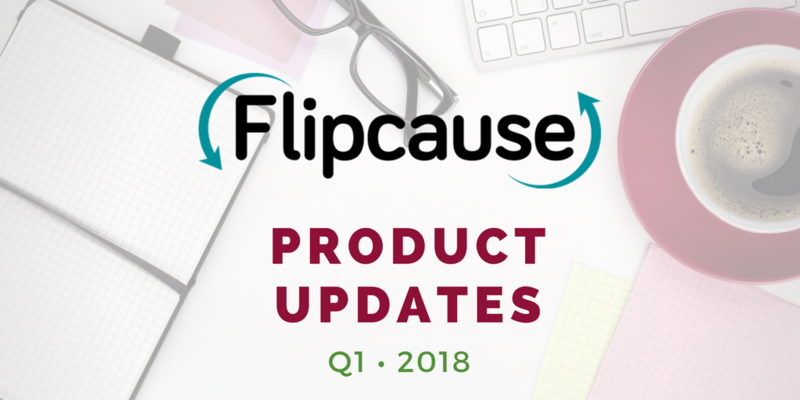 Thanks to your feedback, we've been able to make Flipcause that much better. It's simpler than ever to increase supporter engagement and build your impact.